Like we mentioned earlier, old extensions and unused apps can run in the background, eating up system resources. No one wants this, so it’s a good idea to routinely go through your extensions and purge anything that you don’t need. 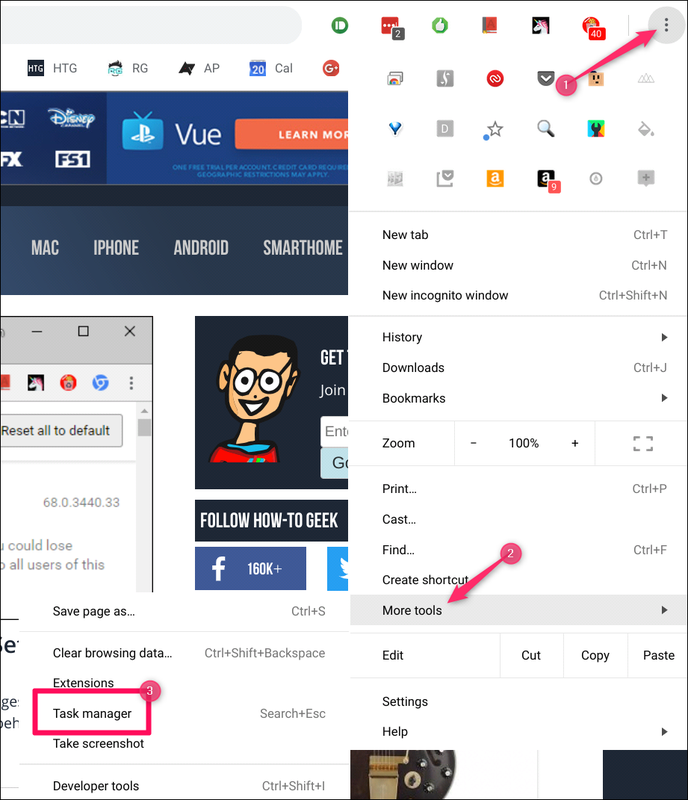 To find the extensions and apps currently installed on the system, click the menu button, and then navigate to More Tools > Extensions. This opens the Extensions page, but it also lists all installed apps. Just run through the list and find anything you know you don’t use. 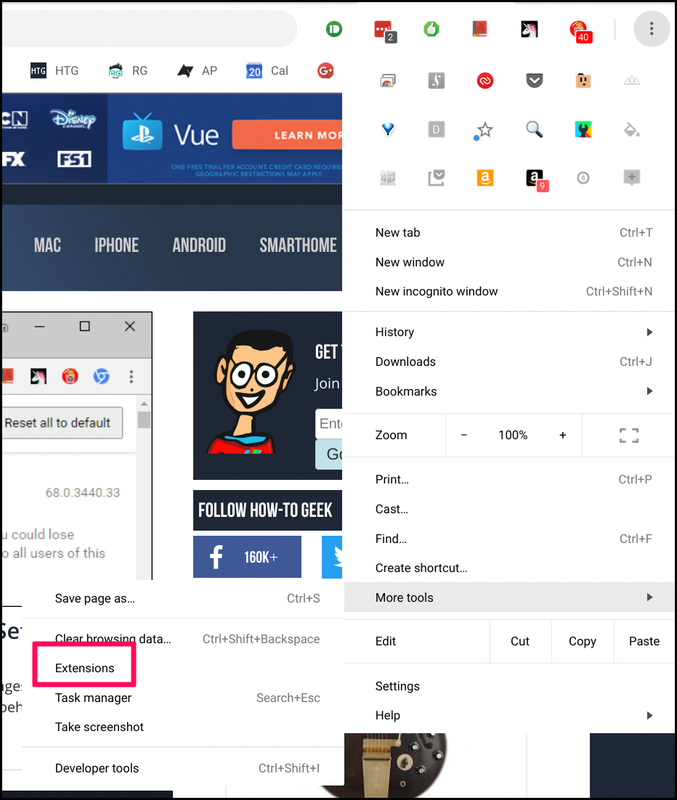 Remove it by clicking the “Remove” button on that extension or app’s card. You may be surprised how much garbage is on your system that you forgot about! While having too many extensions can eat up precious resources, the right extensions can help save those same resources. Here’s a look at some good ones to have installed. The Great Suspender: Since Chrome OS is so web-centric, you may end up with a lot of open tabs. As long as these tabs are open and running, they’re eating up system resources. The Great Suspender automatically puts tabs to “sleep” after a certain amount of time being idle, which removes them from memory. To reload the tab, simply click anywhere on the suspended page. And if The Great Suspender isn’t exactly your cup of tea, there are other great extensions for managing tabs, too. OneTab: While The Great Suspender will suspend tabs that have been open for a while, you may have a collection that needs to be grouped together for later reference. That’s where OneTab comes into play—it can easily group clusters of tabs together and merge them into a list one a single tab. Really comes in handy as similar tabs start to build up. Save to Pocket: If you’re a Pocket user, you already know how valuable the service can be. If there’s an article you want to read later, you can use this extension to quickly save it your Pocket account. Then you can close the tab and read the story later. AdBlock: Look, ads take up a lot of system resources, and they can really bog down systems with limited hardware. So by blocking ads, you can easily keep the system from bogging down so easily. We only ask that you use the “innocent until proven guilty” approach to ad blocking—don’t just blanket-block all ads. 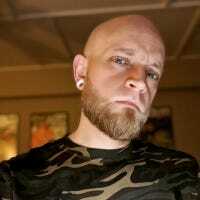 Give a site a chance first, and then block the worst offenders. There are likely plenty of other extensions in the Web Store to keep your system nice and tidy, but these are our favorites. 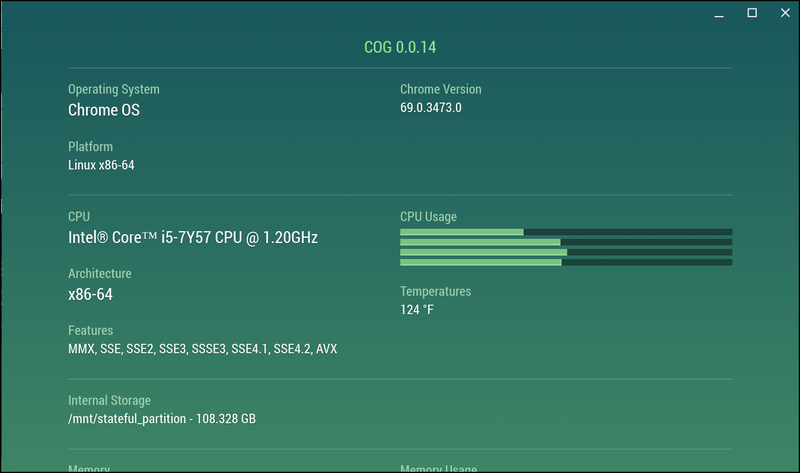 There’s a good chance your Chromebook has limited storage—maybe even as little as 16GB—which can fill up really quickly. As the storage partition gets close to its maximum capacity, it really start to bog the system down. To get started with the system cleanup, head into your Downloads folder. 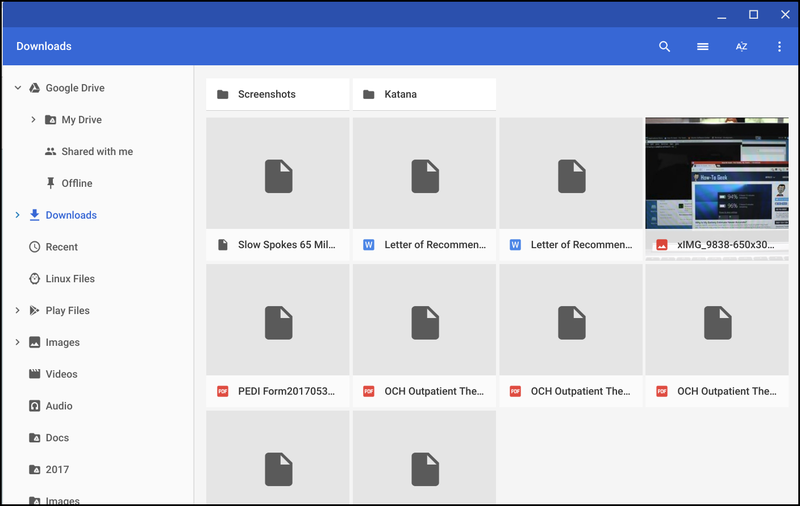 This is where Chrome OS stores all saved files by default. It’s pretty simple from there: just delete any of the stuff you don’t need. If you find that storage is running low and you have a lot of stuff you’d like to keep stored locally, you should add an SD card for additional storage. Most Chromebooks have the option to allow added microSD cards. So grab yourself a 64GB or 128GB SD card and store away. You can even make this your default download location if you want. If your Chromebook doesn’t have an SD card slot (like the Pixelbook, for example), then a USB drive is going to be your best choice. It’ll tie up one of the USB ports on your Chromebook, of course, so you’ll have to decide if that’s a worthy trade-off. If you’ve tried everything here and your Chromebook still seems to be laggy, you may have to powerwash. This wipes your machine clean and sets it back to its out of the box factory settings. Fortunately, it’s a Chromebook, so setting it back up is a breeze. The only thing to keep in mind here is that all of your extensions and settings will sync back to the fresh install, so if you didn’t clean up the extensions and apps in the first place, it may still have the same issue. 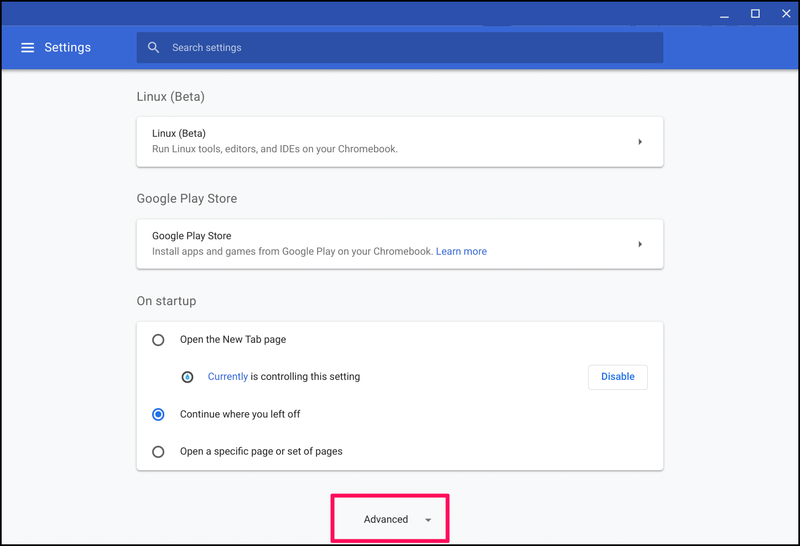 To Powerwash your Chromebook, head into the Chrome OS Settings menu, scroll to the bottom, and then click the “Advanced” button. After the advanced settings show up, scroll all the way to the bottom of the page again. In the “Reset Settings” section, click the “Powerwash” button. Confirm that you’re ready to restart your device, and then let the Chromebook do its thing. It may not be what you want to hear, but if nothing else seems to work, it could be time to start considering a new Chromebook—especially if yours is a few years old. Older model Chromebooks were particularly limited in the hardware department (to keep costs down), so they get loaded down pretty easily. If yours is a few years old, it’s probably time to just look at a new one. Take into consideration what it is you like about the one you have now, but also think about what what you feel like is limiting it. Apply those things to your search for a new Chromebook to help find exactly what you’re looking for. If you want a headstart on the best Chromebooks available now, we have you covered over at our sister site, Review Geek.